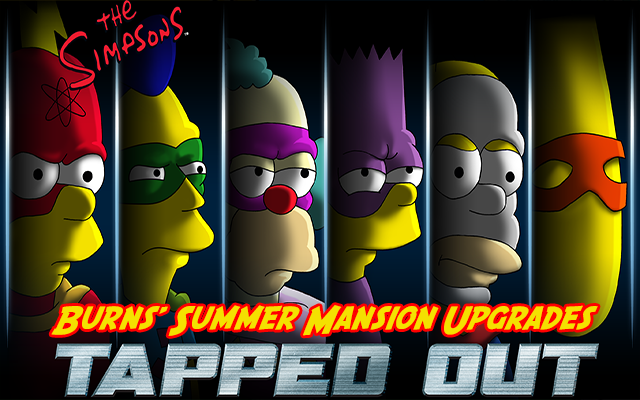 Burns’ Summer Mansion is the new Headquarters for our heroes: the Sequel Squad. It can be upgraded to increase the tap radius on tapping felons. Joins us right after the jump to find out how it works. All jobs are 4 hour long and each level requires 6 per level. Level 5 unlocks the West Wing and 15 unlocks the East Wing, while all levels increases the Tap Radius on Felons. Join us next time for more infos on this event, happy tapping! 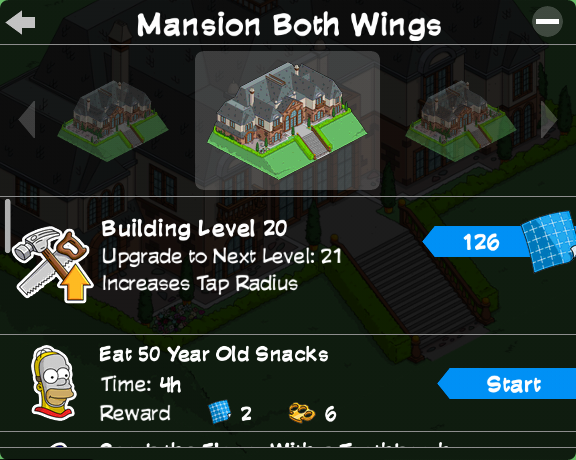 Do characters continue to earn Square-Inches after the event ends, or must we finish upgrading the mansion before July 26?